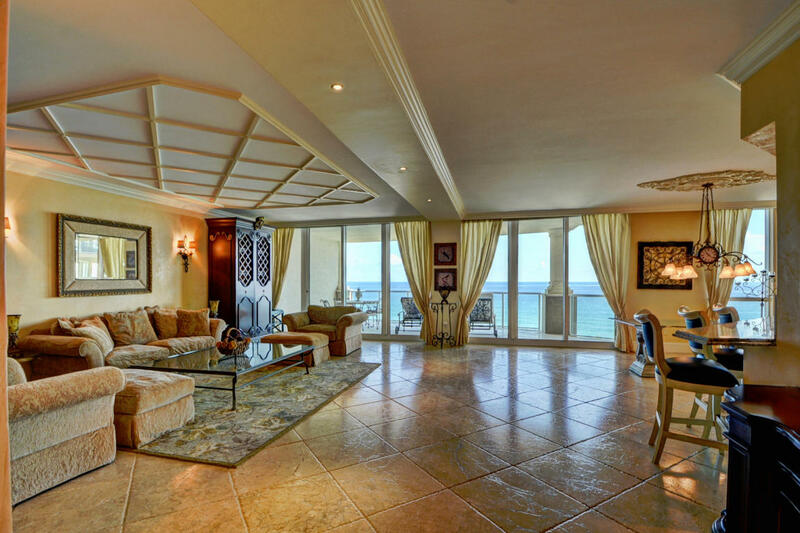 This magnificent Ocean Grande condominium residence on the enviable Hillsboro Beach will impress you! Come see the three bedrooms and four bathrooms generously laid out over three thousand five hundred and sixty two square feet. This condo is different from the rest around it because it allows two pets and has no restrictions on the size! This is a very spacious condo and the the bedrooms are en suite. 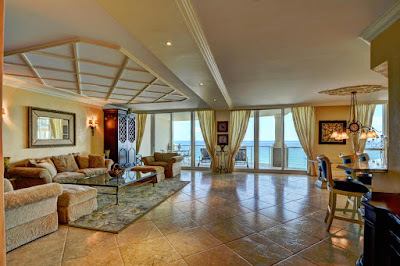 The two huge balconies have panoramic views of the ocean and the intracoastal. You have your own private elevator that opens into the condo foyer. The gourmet kitchen is equipped with a full suite of stainless steel appliances, sleek granite tops, and custom wooden cabinetry. This condo is just steps to the beach and the pool. The floors are marble throughout the main living areas. 1063 Hillsboro Mile #505 is located in Hillsboro Beach and is currently asking $2,250,000.00. Residents of Ocean Grande can enjoy great amenities such as a resort style Olympic swimming pool, spa, state of the art fitness center, glorious party room and bar with an ocean view, and a beautiful outdoor area right on the ocean. Boat dock are available for purchase or rent to owners.